Get Unlimited support, Monthly maintenance, and Unlimited small jobs starting at $99/mo. How can we help your Drupal site? You can't do it all yourself, which is why we're here to help. We're happy to answer your Drupal support questions. We commonly field questions regarding maintaining Drupal, installing themes and modules, resizing/optimizing images, creating website content, website analytics, basic on-page SEO, and much more..
We specialize in small fixes and updates, jobs that are too small to interest web agencies but too technical for you. Random error messages? Some Views giving you trouble? Doesn't look good in IE? We'll make any update that's less than 30 minutes*. With our Professional Plan, we take care of your Drupal Core and Contributed module security and code updates without you having to ask. We also scan for bad links, malware, and slow page speeds, as well as provide daily off-site backups. Send us your updates and we make the changes for you. Ask us a question and we answer you. Report a problem and we fix it. It's that simple. Don't worry about your website maintenance any more. There is no limit on how often you can supply us with new content, ask Drupal support questions, or send us problems to fix - we don't charge by the hour. There is never an extra fee or charge. We back our service with a 30 day, 100% money back satisfaction guarantee. If you aren't happy with our service, we will give you a full refund, no questions asked. We know you're a busy person and your website isn't receiving the attention, nurturing and maintenance it needs. Or maybe there has been an error message on your site for months now and you have no idea how to get rid of it. And so, there it sits, doing nothing, languishing...all alone. We can help. We maintain and support Drupal websites for busy business owners. Let us provide your website with things such as proactive maintenance, bug fixes, security updates, and the extra special attention it so desperately needs. The reality is, if you want your website to work, it must be fresh, it must be cared for, it must be supported. 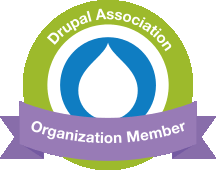 It is so Simple to have us Support and Maintain your Drupal Site. Send your jobs or support questions via email. Need to update photos, delete an employee bio, change product prices, add a blog post, swap out a PDF, or fix a form error? No problem. Our experts do the work within 24hrs if not sooner depending on how quickly the task may take. We backup all of your files before starting and proof check everything once completed. Once the work is done, we will send you a preview (if you requested it) prior to pushing it out to the public. Its like having your own in-house web team, but without the hassle and expense.